Well I was very excited about trying this bath bomb out as I love a limited edition products, the day this was released my local store hadn’t had there delivery so I ordered myself a couple offline which I tend not to do incase I don’t like the scent. 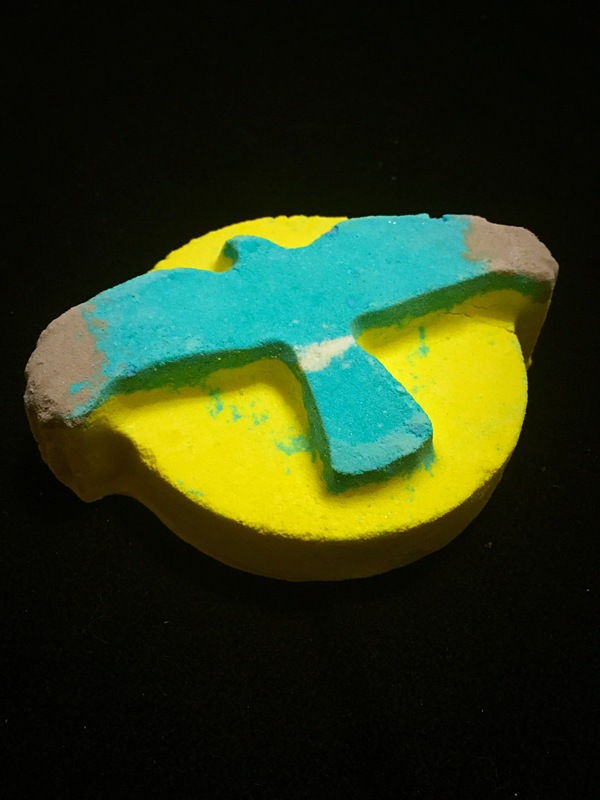 The skydancer bath bomb has been created to help fund and support the purchase of equipment to Satalite tag the endangered hen Harrier chicks in upcoming years. One of my favourite aspects of lush is how they like to help to campaign and fund raise for great causes. I don’t really know much about hen harriers so I took some time to have a little look and find out a bit more about them. Now this bath bomb is just spectacular! I couldn’t get over how large it is! I also love how bright the colours are! It’s just so lovely to look at I almost didn’t want to pop it in the bath. 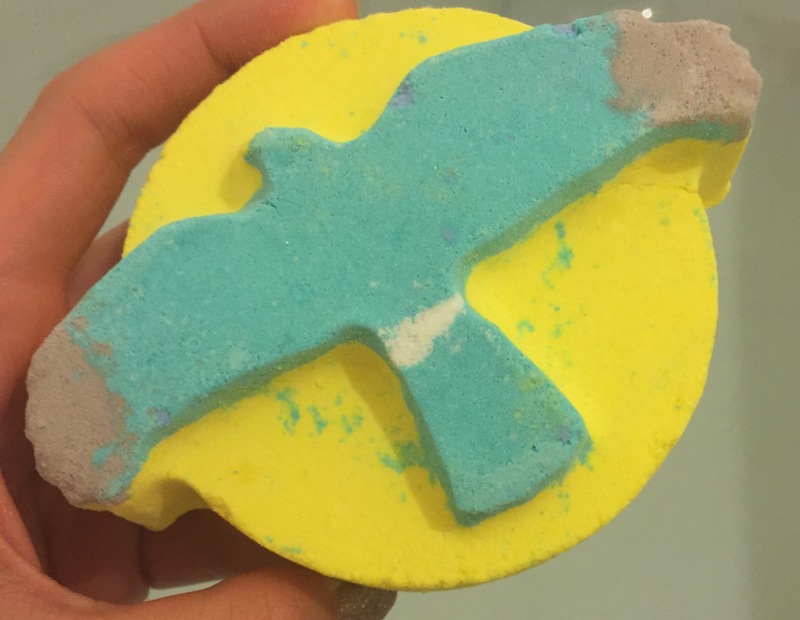 It has a fantastic bright blue bird design on the front of the bath bomb which is also a great touch to show support for such a brilliant campaign. I was super excited about the scent of this bath bomb and due to not being able to try before I brought, it added a little extra excitement as I didn’t know what to exspect when it turned up. Luckily I wasn’t disappointed and I absolutely loved the scent of this product. It is quite a unique smell and might not be every ones cup of tea but it is defiantly different to anything else I have ever tried from lush and I really like that. The Skydancer is described by lush as having a soft floral and liquorice scent. I felt that the liquorice defiantly was noticeable and as I have never tried a product with the scent it made such a different bathing experience. The other products in the Skydancer are bergamot, Sicilian lemon and cinnamon leaf. this mixture of ingredients helps to create a uplifting scent which helps to clear and unwind the mind. This bath bomb scent seems to linger very well and filled my house with such a wonderful aroma. 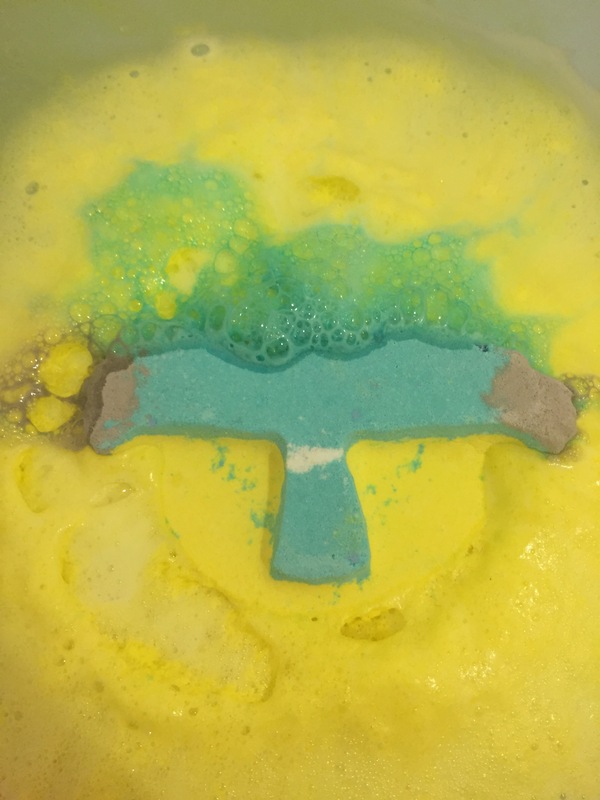 As this bath bomb was popped in the water it fizzed away releasing a bright yellow foam all over the surface of the water. I was very excited to see that this didn’t fizz extremely quickly, but it took its time and slowly fizzed away creating the most colourful water. I also loved how the Bird design stayed visible on the top of the water and created a lovely picture across the water. I also loved how moisturising the bath bomb was as it left my skin feeling silky soft and smooth. Overall I was very impressed with the product and it’s only downfall is that it won’t be around for long, it currently is still available! So if you have the chance go pick one up as not only will you love it you will also be supporting a great cause. Top tip – this is a very large bath bomb so you could defiantly cut it in half! Although it might be nice to try at least one whole to get the full exsperience. Ingredients – Sodium Bicarbonate, Citric Acid, Cream of Tartar, Sodium Lauryl Sulfate, Water (Aqua), Bergamot Oil, Cinnamon Leaf Oil, Sicilian Lemon Oil, Lauryl Betaine, Benzyl Benzoate, Lilial, Eugenol, Limonene, Perfume, Potassium aluminium silicate, Titanium Dioxide, Iron Oxides, Colour 47005, Colour 42053, Colour 42090:2.